MPSC Assistant Town Planner Recruitment 2018 Apply Online in Maharashtra Civil Service Jobs To Fill 174 ATP Vacancies. To Make Career in Town Planner you must read below article of Age Limit, Selection Process and Eligibility criteria from below fields. CG Vyapam Lekhpal Admit Card 2018:- Have you download Admit Card of CG Vyapam Accountant that recently uploaded on CG Vyapam. Than it must be downloaded before it late because CP Vyapam Lekhpal Exam coming close to your home. UP DED College List 2018 D.El.Ed NCTE Diploma in Elementary Education Course Fees Structure of Govt Private UP BTC DED College List 2018. FCI MP Watchman Admit Card 2018 Hi Guys You Can downloads the Madhya Pradesh Chowkidar Exam Date Notification of 217 Vacancies. if you have registration number and Passwords than you have option to download the FCI MP Admit Card 2018. SIS India Security Guards Recruitment 2018 Application is invited to fill Security Guard Jobs in Uttar Pradesh 300 Post. To Apply Online Candidates should visit sewayojan.up.nic.in Just Limited Period 31st March 2018. 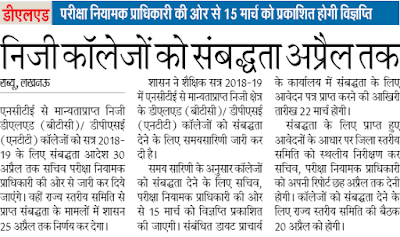 NHM Rajasthan Recruitment 2018 Board has released notification for the posts of 1043 MO, Lab Technician, Supervisor and other Vacancies in National Health Mission (NHM), Rajasthan. To Apply Online You should visit official website. UP Post Office Group D Recruitment 2018 Apply Online For Group D Staff Jobs in India Posts Office under posts (Safaiwala, MTS, Sweeper, Peon etc). To Get Deep water updates you should visit Posts in the Vibhag of India Post Office which announce soon. NIWE Recruitment 2018 Application Form issued to fill prospectus of Project Engineers in National Institute of Wind Energy. The Advertisements required carrying out the development of Offshore Wing Energy in India. That is why it proposed to engage Indian National to the following position in different disciplines on contract basis in good salary. NHPC India Recruitment 2018 A Mini Ratna Company invites application from Job Seeker for undergoing one year apprenticeship training at Rangit Power Station, Rangit Nagar, South Sikkim under apprentice act, 1961 in the trades as mentioned below. RRB Allahabad Group D Recruitment 2018 Notification of Employment Notice recruit 4762 Group D Recruitment Against 10TH/ITI for more details visit www.ncr.indianrailways.gov.in.